I was struck by a feeling that I call the feeling of the stranger, when I saw footage wich a friend (Frank Bruinsma) shot while he was on a studyweekend in Belgium. Watching this live Super 8 filmfootage gave me the feeling of watching the world from the outside; being somewhere but not belonging. A sense of nostalgia for that what never was ... I added to this live footage from Belgium the story of a man from the moon that has got trapped on earth. In the animation that I made consisting of about 2000 drawings, I depicted how this man from the moon longs for 'home' and how it is looking for a way to get back 'home'. "Home is where the heart is" ... 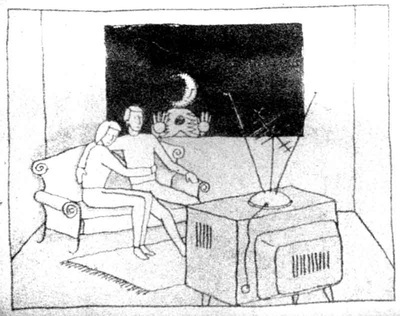 The man from the moon looks from the outside in at an interior of an earthly "home". Being somewhere, but not belonging. An inner distance. A parishioner, paroikos: the Ancient Greek for foreigner, for the neighbor without citizenship (para = 'with', 'next' and oikos = house). In our recent history, there were also real men on the moon. The man from the moon animation I complemented therefore with images of the first moonlanding in 1969 by the Americans. The NASA astronauts were aliens on the moon: their story mirrors the story of the moon man on the earth. 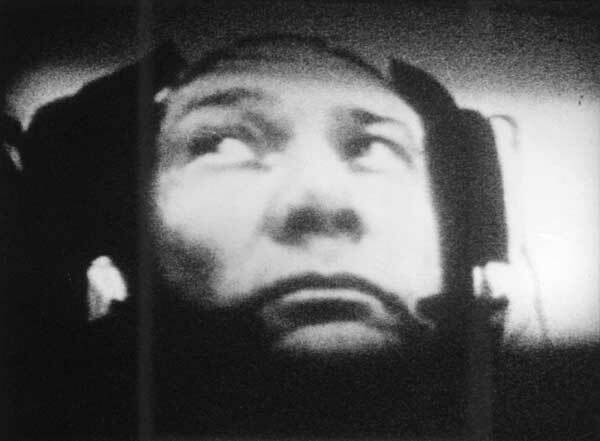 The archival footage from NASA that reached us from a distance, through the tele-vision, fills in the gaps in the story of the man from the moon animation and adds a second layer to it. The moon man discovered the Apollo 11 rocket on its launch pad, and it travels as a stowaway - together with the astronauts - to the moon. It lands on the moon with a parachute, while the astronauts use the lunar lander. Here, two layers in the film contract a narrative connection. The connection to the layer of the live footage, I would call poetic. Thus the film consists of three layers. The soundtrack consists of an organic song-composition, in which I play with hard and soft, and with improvisation within a harmonic, melodic structure. I wrote the poetic lyric, wich I sang myself, from the aforementioned sense of the alien. Loneliness, rootlessness, longing for the home that was, and perhaps for a new home in the future. The funny voice that is heard in my recording comes from a children's tale on a 33 rpm vinyl record from my childhood. Another friend of mine of that time, Richard van Schie, played the drums for me, all other instruments were played by myself. The 16 mm copy with magnetic sound of this film was screened at various festivals and moviehouses in the Netherlands and Europe.